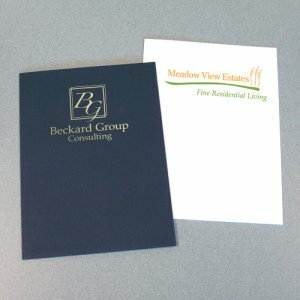 Letter size presentation folders are specifically designed to present letter sized company materials in the most attractive manner possible to ensure a lasting impression with your clients. 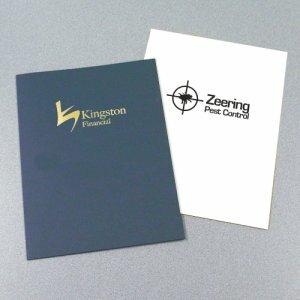 In addition, custom folders are a terrific advertising tool, reinforcing your company name and building your brand. 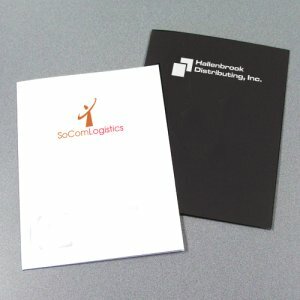 Whether you would like your company being represented as simple, elaborate or fun at your next sales pitch, you cannot go wrong with professional pocket folders. 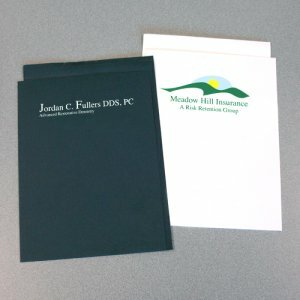 With letter size folders from The Folder Store, your important documents will be professionally organized and your brand will be represented in the most effective way. Banks, Cellular and Wireless Communication, Cemeteries and Funeral Homes, Charities, Child Care, Churches, Construction / Manufacturing, Computers / Technology, Cosmetic Surgery, Conventions, Credit Unions, Education, Schools and Colleges, Entertainment, Golf and Country Clubs, Hospice, Hotels and Catering, Insurance, Investment Firms, Laser Eye Surgery, Law Firms, Mortgage Companies, Nursing and Retirement Homes, Orthodontists, Personal Chefs, Pharmaceutical Companies, Physicians, Publishing, Radio Stations, Real Estate, Title Companies, Travel and Tourism, Vacation Resorts, Visitors Bureaus, Wedding Planners.